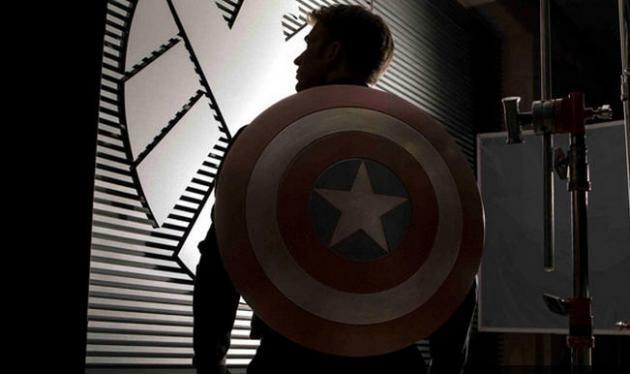 Here's a new trailer for Marvel's upcoming Captain America: The Winter Soldier movie. Played by Chris Evans, Cap will be defending the nation alongside Natasha Romanoff (aka Black Widow, played by Scarlett Johansson). The action-packed trailer sets the captain out to "neutralize a lot of threats before they even happen," according to Samuel L. Jackson's character, Nick Fury, the head director of international intelligence agency S.H.I.E.L.D. Falcon, portrayed by Anthony Mackie, soars in to help battle the villains, including the sequel's namesake, Winter Soldier. The big bad guy is a brainwashed assassin — and Captain America's former best friend — played by Sebastian Stan. Robert Redford will debut in the film franchise as new S.H.I.E.L.D. leader Alexander Pierce.